Those natural eggs are beautiful! Who needs dye when you have those little beauties? Some of the most beautiful eggs are made by using raw eggs placed on a bed of onion skins, and some of the other things mentioned above. The egg on its bed is wrapped in a square of old sheeting and gathered up with a rubber band. Boil the egg packages for the same amount of time that you normally use for hard-boiled eggs. Lift out the egg packages. Once they have cooled enough to handle, unwrap your beautiful eggs. The colors will look even more luminous if you rub them with some cooking oil while warm. 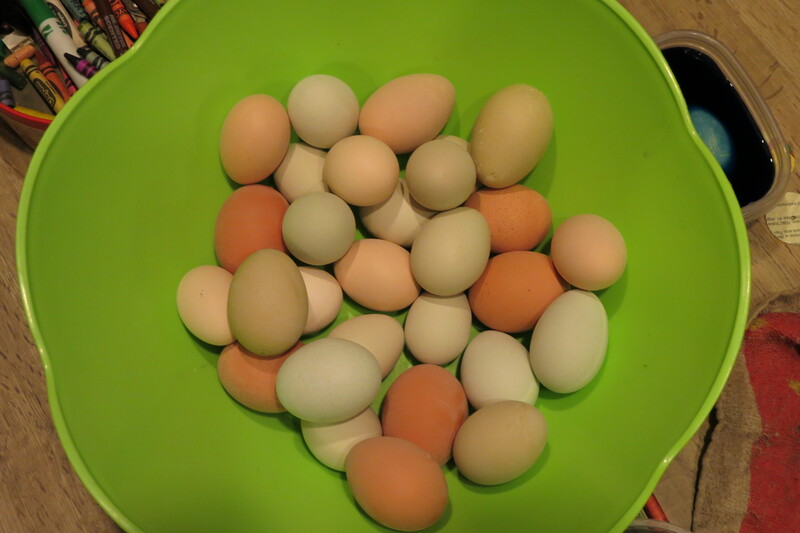 In addition to the eggs, you also have a beautifully colored square that can be used a variety of ways. Love the natural egg coloring ideas! Can’t wait to try them..